EDMONTON, AB – Have you stopped dancing after Wednesday yet, Rogers Place? 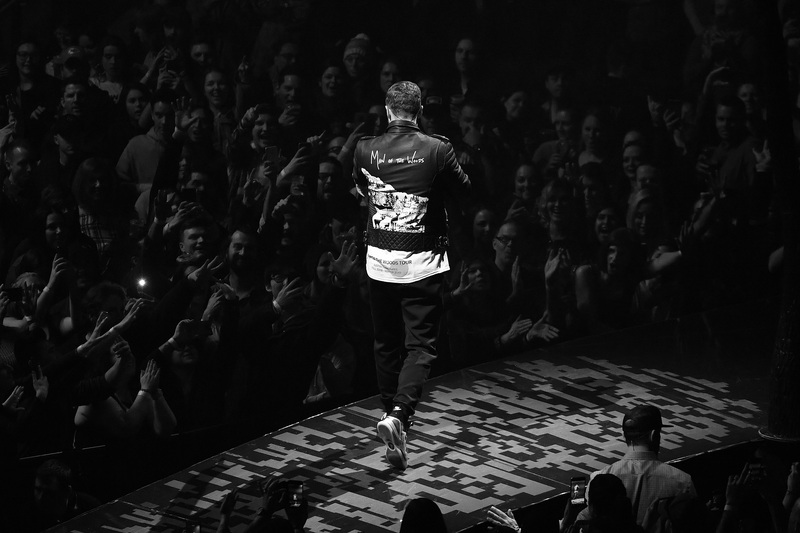 The rhythm and energy from The Man of the Woods Tour vibrates into Thursday’s finale of the two-show run in Edmonton, after Justin Timberlake orchestrated a spectacle of a lifetime with the help of The Tennessee Kids and one of the music industry’s most elaborate stage shows. The excitement never stopped from the moment DJ Freestyle spun the beats to hype up a crowd that never quit swaying side to side before Toronto-born singer Francesco Yates hit the stage to continue warming up the crowd. It’s befitting that a Canadian, who’s had an EP produced by the likes of Pharrell Williams, would open for Timberlake for the tour’s Canadian stops. The 23-year-old’s vocals are very recognizable to most after being featured on Robin Schultz’s “Sugar”. “Ladies and gentlemen, welcome to the Man of the Woods tour,” said Yates, kicking off the Timberlake experience. 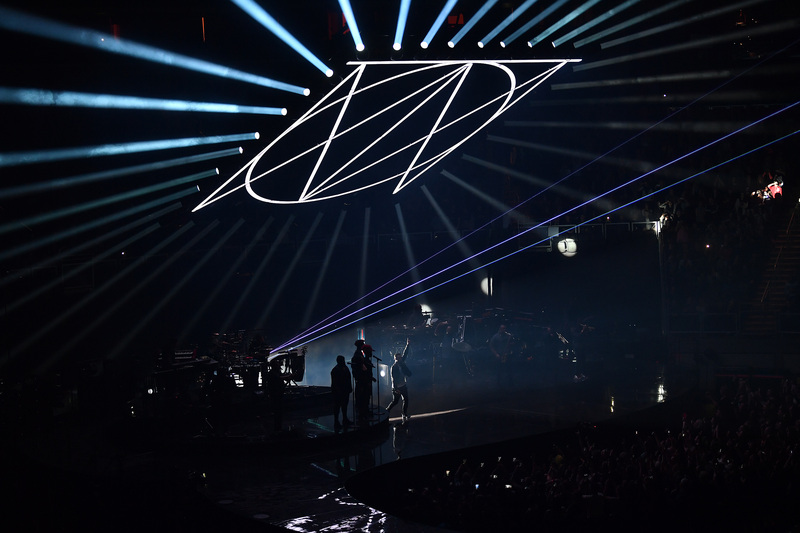 Concertgoers in attendance might not have expected JT to be a literal man of the woods with trees lining an intricate stage that weaved and winded its way around the floor, with pockets of fans packed tightly into its curves. But that much, along with the undeniable on-stage influence of a pop star like Justin Timberlake, should have been expected. “Filthy”, the icon’s lead track of his fifth solo studio album, flexed the muscles of his on-stage arsenal with exceptional dancers and a light display that would challenge the world’s greatest laser shows. 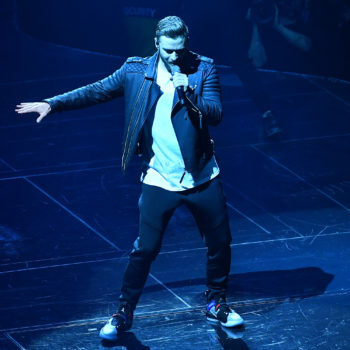 Timberlake, known for being an artist whose ability to dance matches his incredible vocals, didn’t shy away from showing off his moves early into his two-hour set. For the first time of the night during “Midnight Summer Jam”, screens, embossed with wilderness elements fit for a man of the woods, descended from the rafters in an almost 360-degree panorama. Then “SexyBack”, which featured electric images on the screen, sparked the first cries for more throwbacks from the crowd. 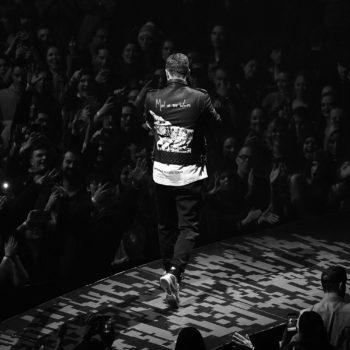 Timberlake teased the crowd with solo samples of “My Love” before bursting into a full verse with his dancers and extended band, who more than stood out during the show. Back in the day before his stardom, JT would’ve been that guy with a guitar at a party who would’ve had everyone entranced. Wednesday, a campfire at the far end of the stage opposite the band made for an almost intimate gathering place for a rendition of “Until the End of Time” and acoustic solo play of “What Goes Around… Comes Around” off 2006’s FutureSex/LoveSounds. With many in the crowd having grown up listening to NSYNC on their portable Walkmans, the global superstar kept the audience captivated right to the end, with a blend of the old and new. 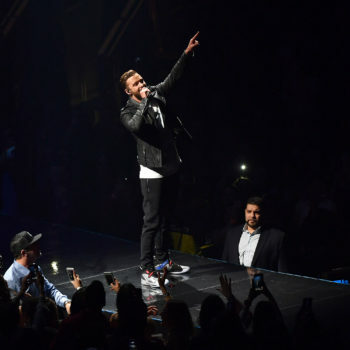 “Can’t Stop the Feeling” gave the audience the chance to add their voices to Timberlake’s last song of the night as he invited the audience to sing its notable verses. 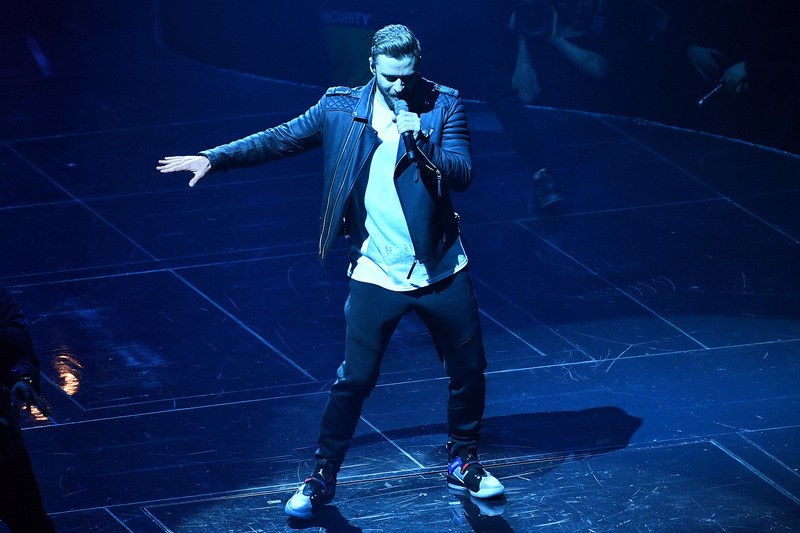 A three-month delay of the show due to Timberlake’s bruised vocal chords didn’t damper the decibel levels at Rogers Place on Wednesday. 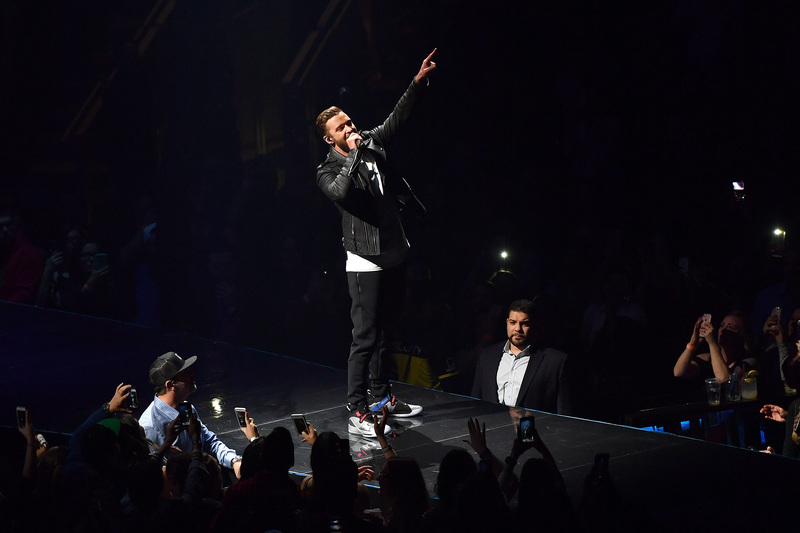 Timberlake will look to top those levels Thursday in The Man of the Woods Tour’s crescendo.